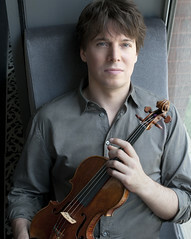 Joshua Bell has an extensive background. He’s been in the spotlight since age 14 and has recorded more than 30 albums since. Learn more about this Grammy Award winning artist on his website. I really enjoyed this album. The instrumentals were extremely well done and fit together nicely. The album offers something for everyone; there are pieces that have a romantic feel, a couple that are upbeat, some opera style pieces, compositions you might hear in a coffee shop, and one with a European flair. A wide variety of instruments are also represented, adding to the blended yet unified feel of the album. 1. I found this track to be calming and peaceful. 2. Well, because I adore Sting, this one was a no brainer. 5. This is such a fun track. It’s got an upbeat Spanish tempo. It sounds playful and seems to tell a story. 11. While listening to this track, I feel like I’m walking down a small cobblestone street somewhere in Italy. 6. While this is well done, I prefer the original … it’s just how I am (more here). 12. I like Regina Spektor and expected to like this track. I’m not sure of exactly just what it was, but something didn’t work for me. All in all, I thoroughly enjoyed the album. Joshua Bell is amazing … but from his amazing biography, we should know that. 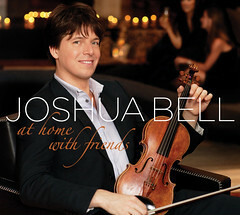 If you’re looking for a dinner party, background music type album, I highly recommend Joshua Bell’s At Home With Friends. Want more? Here’s a link to Joshua’s website, as well as his Facebook fan page. Widgets more your thing? Then you must check this out, too! Joshua will also appear on the Tonight Show with Conan O’Brien on October 2nd. Note: As mentioned above, I received a copy of At Home With Friends from One2One Network in exchange for my review. The opinions expressed above are mine and mine alone. If you want to know more about my thoughts and policies on product reviews, go here. Consider one’s own feelings and internal state. Peanut and I attended our first playdate through a local meetup group on Saturday and had a blast! I’m not sure if these playdates are more for our little ones or the moms – at this early age, I’m really thinking it’s more for us! We had some fantastic discussions, and at one point were talking about the site being featured as the link of the week: mamabargains.com. The mom telling us about the site said the site features one bargain item until it’s sold out, then they move on to another bargain item. Sweet! Mamabargains.com ~ The word of mom says our deals are so hot, they’re almost free! Every single item, ALWAYS 50-80% off it’s retail value. 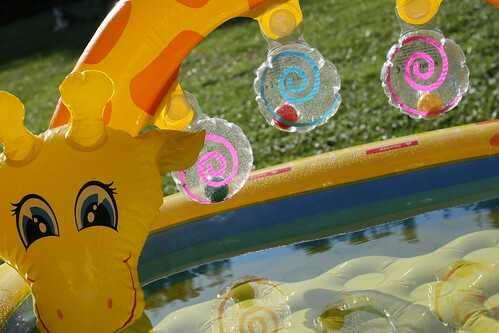 Here is the most important part of our website: WE OFFER MORE THAN ONE DEAL A DAY! We just do it one deal at a time. We don’t list items at a certain time of the day, it’s very random, mysterious and completely unplanned what products we will feature and when they will feature. You need to keep checking back throughout the day to find new deals, once one is gone, you will see another new deal immediately after! Most days you will see anywhere between 2-10 deals during the entire 24 hour period of time, so it pays to keep checking back. You snooze, you lose – you don’t want to miss out on something, so be sure to refresh your browser, or follow us on twitter or facebook, you will see updates on these pages whenever a new item pops up, and remember, this will happen more than one time every day! So, for all you moms out there, check it out if you haven’t been there yet. Have you used mamabargains.com and love it or hate it? Let us know! I’m totally shocked – this week’s word occurred to me as a result of some thought about a recent happening. For some reason, I thought I had chosen it once before. Guess what I found? This exact word was also the word of the week precisely one year ago today!!! Yes, lackadaisical was the word of the week on 09.22.2008! So, without further ado, I bring you the word of the week that was just meant to be – in more ways than one! Without vigor, interest or determination; lethargic. P.S. – Don’t forget … if you want to win your very own copy of A Million Miles in a Thousand Years: What I Learned While Editing My Life by Donald Miller, jump over here and leave a comment – any comment by Friday, 9/25! I’ll be honest – I usually do not like song remakes. I’ve found that unless the remake version is dynamite, my loyalty remains with the original. Naturally, there are exceptions to every rule, and this is one of them. Thanks to the One2One Network, I was given the opportunity to review Harry Connick Jr’s new album, Your Songs. I love music, and was honored to have the opportunity to review Your Songs. Much to my surprise, I truly enjoyed the album. Don’t get me wrong – I have always enjoyed Harry’s music, and have a couple of Harry Connick Jr.’s other albums as well as several songs downloaded from iTunes. But as I mentioned above, I typically have a strong dislike for remakes of songs, and particularly classics, as many on the album are. Often, that strong dislike overpowers the artist’s talent and his/her individual take on the song. Not this time, however. The rich instrumentals paired with Harry’s timeless voice won me over. The album is classy. It’s dynamic and dramatic. It’s bold. It’s warm and inviting. I could imagine this album playing in the background at a dinner party with my closest friends. I see myself listening to this album when I need some inspiration. The album is great, in my mind, on rainy weekend mornings with a big cup of coffee and a good book. 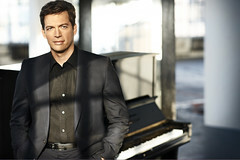 And the romantic theme is charming yet sophisticated – in a way only Harry Connick, Jr. can accomplish. Specifically, I really enjoyed All The Way and Just The Way You Are. Harry has a way with music, and in these songs, I feel he’s most in his artistic element and most in touch with the specific song. Two that I just could not detach from their original makes were Can’t Help Falling In Love With You and Your Song. While I feel they are well done, I found myself thinking of the original artist instead and just couldn’t get into them. Overall, I thoroughly enjoyed the album. 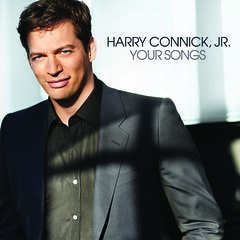 It had a feel that was typical of Harry Connick Jr.’s work, and that’s certainly a very good characteristic to have. In my mind, he’s fantastic, and his unique voice and ability to evoke a mood is incredible. If you enjoy Harry’s other albums, I’d highly recommend Your Songs. And if you’re looking for some relaxing and romantic mood music, this album is also for you. I don’t think you’ll be disappointed. Note: As mentioned above, I received a copy of Your Songs from One2One Network in exchange for my review. The opinions expressed above are mine and mine alone. If you want to know more about my thoughts and policies on product reviews, go here. 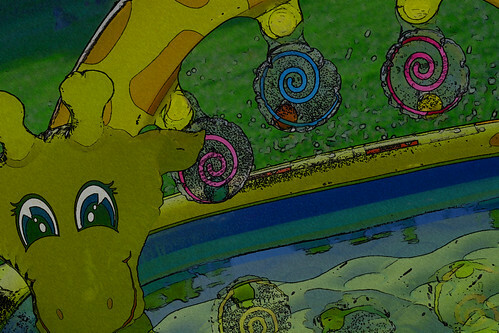 Here’s a cool technique to make your images look like they were done with colored pencil. Again, I modified the original tutorial a bit to suit my particular image, but I essentially followed it as it is presented!